Dr. Karajagi, Chairman of the Academy for Creative Teaching (ACT)- Bangalore, is an eminent educationist and a member of the Karnataka Knowledge Commission. 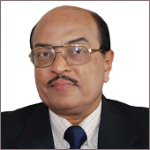 Dr. Karajagi has been instrumental in establishing outstanding institutions throughout the three decades of his vast experience as an educationist. He was the Principal of VVS First Grade College for Women for 16years and also the Founder Principal & Academic Director of the Jain International Residential School, Bangalore. This apart, he has also served as a member of several prestigious educational and governmental committees. Under his able leadership, ACT provides consultancy to Ganges Valley School in developing the curriculum as well as effective teacher training modules. 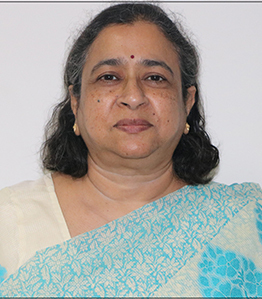 Ms.Vimala is a seasoned and accomplished academician who has served schools of repute in Hyderabad in academic and administrative leadership positions for over two decades. Greatly admired by her colleagues and loved by her students, her positive attitude creates the ideal environment for experimentation and innovation. In keeping with the present day need for 21st century skills, she encourages children to be self learners and think out of the box. She mentors the staff and is closely involved with curriculum planning and its execution.